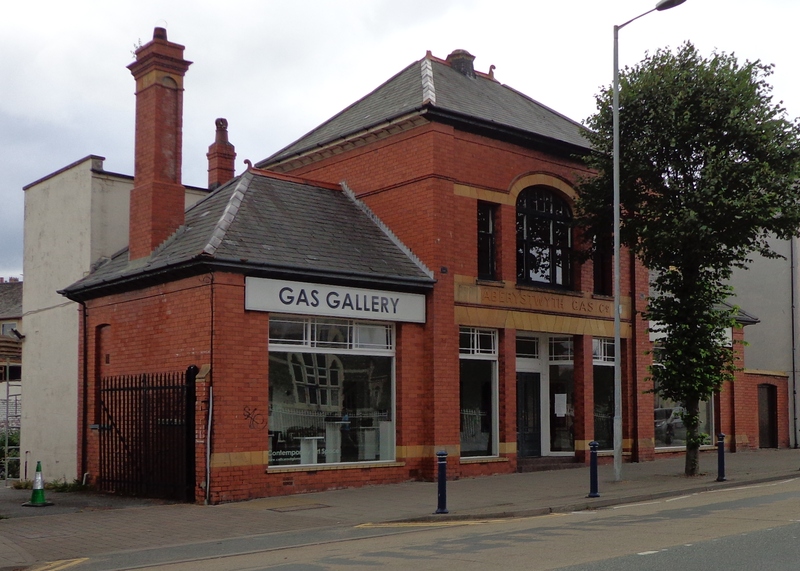 I have occasionally blogged on the joys of Aberystwyth and its place as a University town in the far west of Wales. The story is that its railway line escaped axing in the Beeching era, not because the line was profitable but because it ran through five Labour held parliamentary constituencies. It is a nice place to visit, not just because we have family there but because of its indomitable spirit of activism despite the efforts of the City fathers. This spirit is exemplified by the sign I saw in a car window. Does it mean that Aber is overrun by ravening hordes who will smash a car window in search of stale (or otherwise) food. 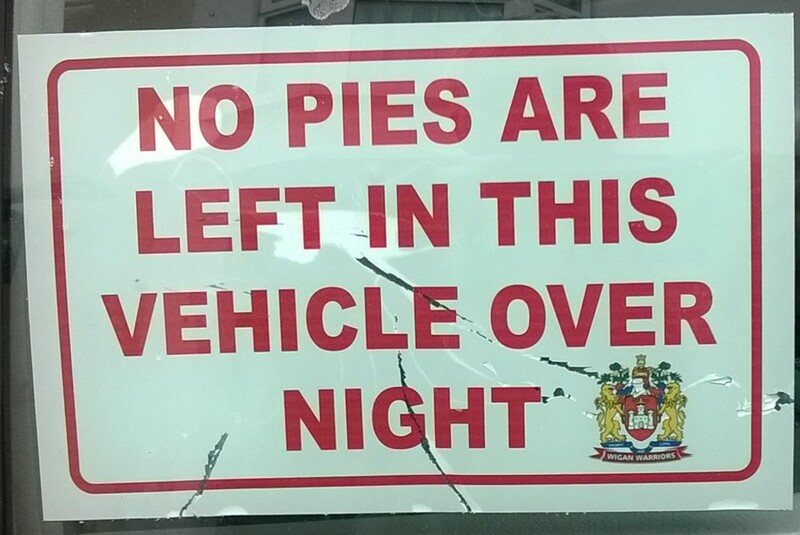 No, it means that if due to idiosyncrasies in the licensing laws, the pie shops close before throwing out time at the local bars, then there is no profit to be found scavenging in the parked vehicles looking for left over sea gull food. Wales is renowned for its artistic genes. Artists and bards spring up everywhere. 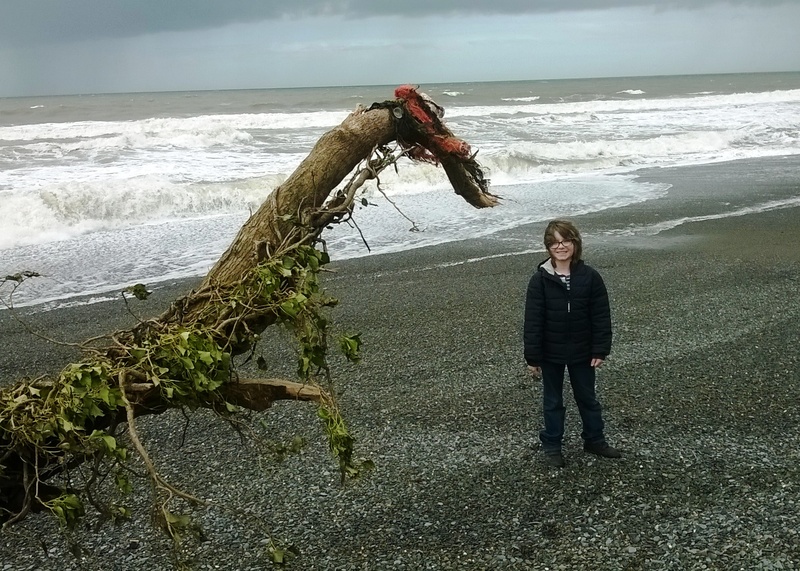 After all Aberystwyth boasts my son in law as a sculptor in residence. 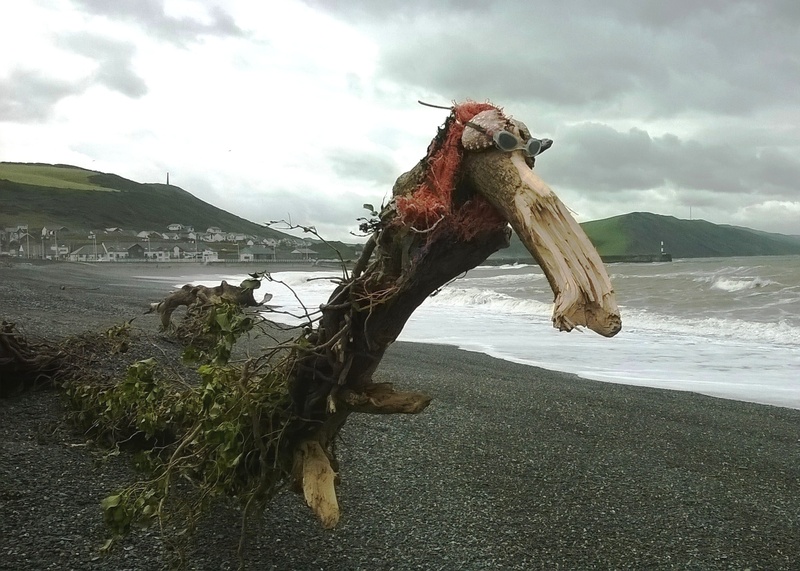 Last month the Ceredigion coast experienced some late spring gales and among other detritus a tree washed up on the beach. emerge like the butterfly from the cocoon. As can be seen, my grandson is a true native of Wales and shows no fear of dragons!